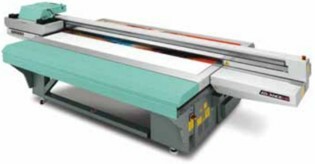 High quality used commercial large format inkjet printing machines, for digitally printing signage, banners, posters, point of sale products and much more. Printing at high speed and quality on vinyl, glass, wood, textiles, dibond, plastics and many other substrates. in used large format printers. We purchase pre-owned large wide format printers from printing companies and vinyl cutting machines and cnc routers from sign makers in the UK. Our top quality second hand industrial printers, cutters and routers have normally been under manufacturers maintenance contracts, and are in excellent working order when we receive them. However, our fully trained engineers check them, clean them and if necessary, refurbish any defective or near defective parts. You can rest assured that you will receive your used superwide format printer vinyl cutter or cnc router in the best possible condition. or for a firm quote or advice on which large format printer, digital vinyl cutter or cnc router will best suit your needs or to place an order, please phone Graham Thompson on 01202 430733 NOW! 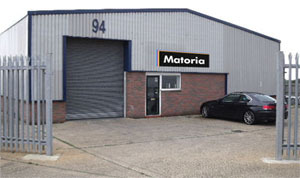 Matoria are UK distributors for the Iecho digital flatbed cutting systems. They come with a full selection of tools, routers and add on modules to suit your cutting application. We have many UK installations. These are commercial cutters and are supplied with installation, training and 12 months parts and labour warranty. Call Graham now or send an email to arrange a demonstration and for prices - you will be amazed at the low installed cost. 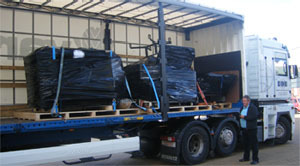 All wide format printers are securely packed and strapped on to pallets and checked by Graham Thompson for express delivery world wide. We charge a fair price and do a proper job. We sell more used OCES flatbeds than anyone else in Europe, that's because people trust us and get value for money and proper refurbished machines installed with full parts and labour warranty. We have a team of experienced, regionally based engineers and can offer five levels of service: Platinum, Gold, Silver, Bronze and Ad Hoc. 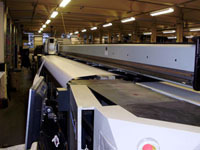 Do you have a wide format printer, vinyl cutting machine or cnc router you want to sell? Where can I buy used CtP computer to plate systems, machinery and equipment? 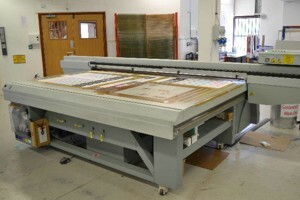 MAY AS WELL BE NEW (only used for prototyping) BUT £60,000 DISCOUNT OFF NEW PRICE!!! 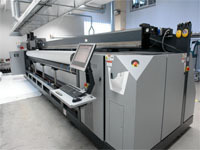 2011 OCE Arizona 350XT 3 x 2.5m flatbed CMYK +white ink ONLY 19,000 sqm since new printed MACHINESAVING OVER £95,000 OFF THE NEW PRICE!!!! 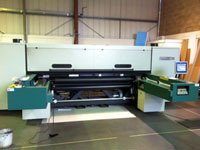 2013 OCE Arizona 460 XT LIKE NEW 3m x 2.5m flatbed CMYK + double white ink heads, 13,000 sqm printed only- SAVING OVER £75,000 OFF THE NEW PRICE!!!! 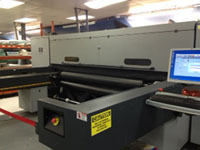 2007 HP Scitex 1500XL Superb condition large format 5.2M Printer, roll to roll fed media, Up to 124m2 per hour, Using Solvent pigment inks CMYK LC LM LY LK. 2010 Inca S20 6 colour with hand feed and auto delivery, Colourgate RIP. Caldera RIP continuous board option. 2012 Gerber DT100 cutting system (as new never been used) work area 1200x900mm 3x2 laser head with pointer cutting creasing tools etc. 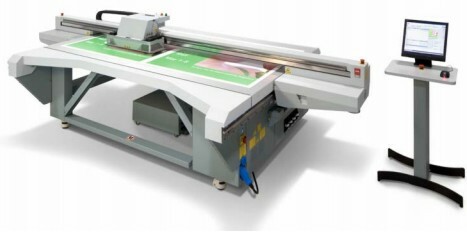 2013 Zund 3XL top of the range cutting system, 3000mm width x 3200mm length all tools router included. 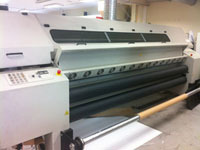 2007 Zund Combi, 6 colour + white, Flatbed 6x2.5m and roll to roll 2.5m wide. 2007 HP XP 5300 4 colour CMYK UV curable pigment inks + billboard mode, Rolled substrate up to 5m wide, 2 years UV and water resistant without laminate.